Criminal law is perhaps one of the most popular and well known jobs in the legal field. Criminal law is practiced by prosecutors and defenders. Prosecutors are employed by the state and work to convict potential criminals and serve justice. Defenders, on the other hand, work to get people who have been charged with a crime acquitted. These professions are extremely stressful, but they are the backbone of the legal field. Though the pay is not extremely lucrative, the reward of helping put away a murderer or save an innocent person is worth it to many lawyers. While prosecutors and public defenders are both employed by the state, there is also a private sector to this field of law. Private criminal defense attorneys are often at the top their field, and put many hours into their work. Unlike state attorneys, they are very highly paid and receive some of the top salaries of any attorney. 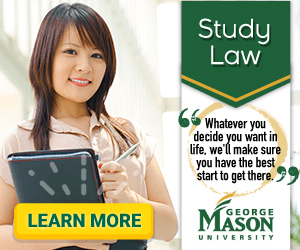 Perhaps one of the most up and coming areas of law for international students is that of family law and divorce law. With a rise in the number of divorces in the United States and in many places around the world, family law practitioners are not having trouble finding clients and cases. Family law encompasses any type of case that involves a family. While divorce is the overwhelming majority, family law also deals with issues including child support, custody and abuse. While this area can be very lucrative, it is also stressful. Divorce mediation is often rough for both parties and may involve a lot of disagreements that prolong a case. There is often times little cooperation between parties. In addition, dealing with custody cases is often heartbreaking. This career requires great interpersonal skills to be able to reach out to a jury or judge, and also the ability to console a client or child. One of the fastest growing areas of law in the last few years has been environmental law. With many new federal environmental regulations and a world that is shifting to environmental protection and renewable energy, environmental lawyers have no difficulty finding work. Most of these attorneys work as advisors with companies who are looking to go “green,” providing insight and federal regulation requirements. Greenhouse gas and carbon emissions have added to the global warming argument, making the need for environmental law experts a necessity for many different types of organizations. Many environmental lawyers find their way to government work, where they represent the Environmental Protection Agency in several different areas: from sustainability to environmental legislation to law infractions (or the equivalent agency in their home country). While this career is looking good now, the future outlook for jobs in the legal field within this area are astounding, and it is classified by many as the fastest growing area of law. The number of lawyers and amount of work in this field will continue to grow for years to come. These are just some of the many career opportunities available in the legal profession. International students considering careers in law should take the time to explore the numerous opportunities available. Students would be wise to find an area they really enjoy working in; this way their careers will be both successful and enjoyable.